Shoppers at the sales in Abington Street. Free wi-fi will be available in Abington Street before the end of March, it has been announced. The new service will complement the free wi-fi system that Northampton Borough Council already offers in the Market Square. The rollout, installed by Kettering-based T James Telecoms, will allow visitors to take advantage of free public internet access to get online for free. It is being offered as a pilot scheme that will run initially for one year. The free wi-fi area will extend along the length of Abington Street from Broadcasting House to the Market Square newsagents. The move is part of the borough council’s town centre regeneration strategy, which has included the launch of the new Love Northampton app – available for iphone to download free in the App Store. 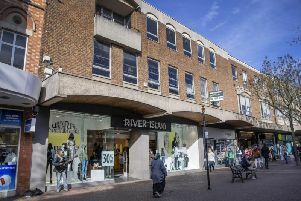 Councillor David Mackintosh, Leader of Northampton Borough Council said: “With the increase in footfall we are welcoming more people into Northampton town centre. Wi-fi and internet access are now important features visitors and shoppers expect to see, so we have invested in bringing this to our town.